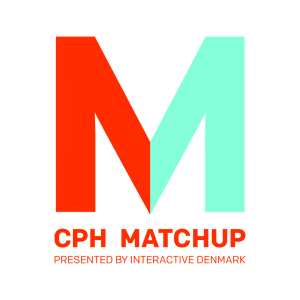 CPH MatchUp is a 2-day event during Games Week Denmark 2018, April 16-17. 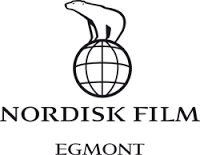 We aim to do the best match-up’s possible between investors, publishers and Danish Game Studios. 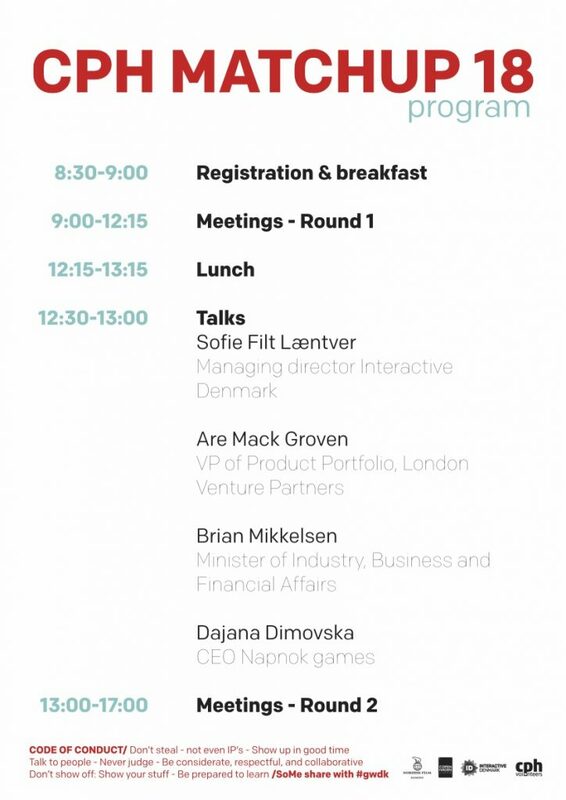 DAY 1 – April 16: Private Studio Meeting in between international publishers/investors and Copenhagen based Game Studios. 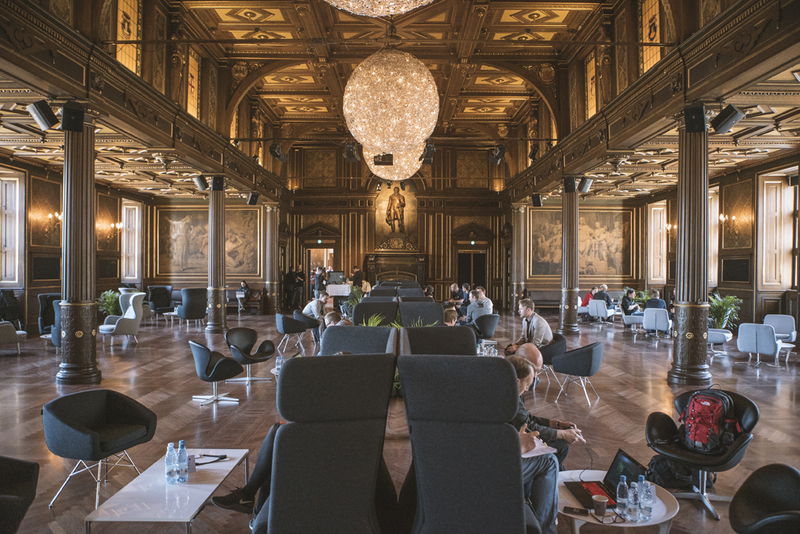 DAY 2 – April 17: One-on-One meetings at Børsen (Old Stock Exchange) with MeetToMatch booking system. EA, Facebook, SEGA, London Venture Partners, Tencent, SYBO, Digital Bros Spa / 505 Games, Maximum Games, Coffeestain Publishing, Wired Productions, Nordisk Film Games, Nintendo, VectrVentures, Deck13 Interactive,THQ Nordic, Capnova, European Games Group AG, Fig, Raw Fury, Dino Patti, Perp Games, Catalyzer, Kiloo, Libredia, 360 Games, Daedalic Entertainment, Global Top Round, Microsoft/Xbox, Accelerace, Six Foot Europe GmbH, David Helgason, Goodbye Kansas Game Invest, Flaregames, CI games, Gumi Inc, Eurovideo Medien GmbH and byFounders.